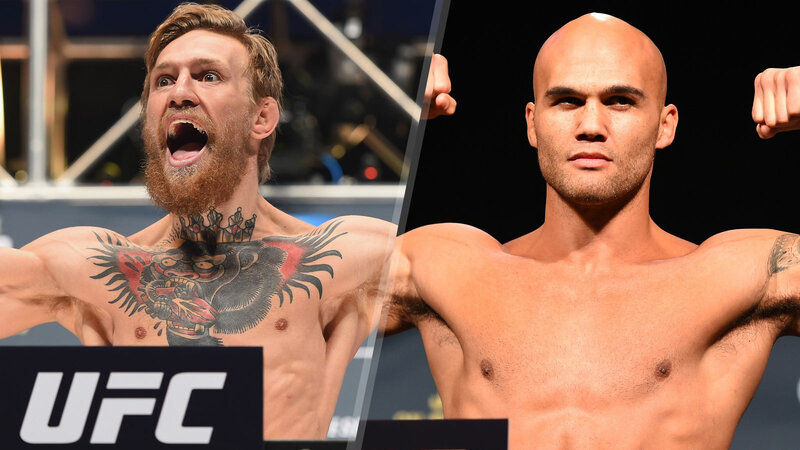 It looks like Conor McGregor might really get to challenge welterweight champion Robbie Lawler for his next fight after UFC 196 is concluded. McGregor teased on Wednesday that the next logical step for him after facing Nate Diaz on Saturday night might be to skip the lightweight title all together and move right into a championship bout at 170 pounds. While UFC president Dana White has scoffed at this idea with other fighters, he says if that’s what McGregor wants it’s going to be awfully hard to say no to the idea. "I’m open to whatever he’s considering doing," White said at the UFC 196 pre-fight press conference. "I mean if he wants to fight at 170 and he wants to fight Robbie Lawler, Conor is tough to deny these days." McGregor is already making an unprecedented move by winning the featherweight title and bumping up two weight divisions to face Diaz on Saturday night. Now he could already be in line to challenge for the UFC welterweight title with a win and it certainly sounds like White is on board with making it happen. "Nobody’s ever done this stuff," White said about McGregor. "145 pounds going to 170 and it’s one of these things when you talk about these guys, when the money’s in the bank and all these things are going on and they have all this opportunity, Conor really does step up and fight anybody, anywhere, any time. "It’s impressive, it’s fun and this is what makes you love the fight business." If McGregor beats Diaz, he could be matched up with Lawler at UFC 200 in July, which is expected to be the biggest card of the year if not one of the most talked about shows of all time. McGregor headlining against Lawler could make it even bigger.